With three days to discover Vancouver, you can get a well-rounded feel for the city and its surroundings as you view the major sights, experience its culinary and craft beer offerings, and even escape the urban environs for a trip to the great outdoors. Here’s how to make the most out of a 3-day stay in Vancouver. Today is the day to immerse yourself in all things Vancouver. Pedal around key city locales, such as Stanley Park, Gastown, and Chinatown, and learn about the city’s history on a guided bike tour. For a more flexible city sightseeing experience, opt for a hop-on hop-off trolley tour. After, rest those legs on a cruise around the harbor, passing landmarks such as Lions Gate Bridge and admiring views of the North Shore Mountains. The pace is up to you: Choose a leisurely sightseeing cruise or an exhilarating zodiac boat ride. End the day at the Vancouver Lookout, where the 553-foot (168-meter) observation platform offers a panoramic view of the city, harbor, and mountain peaks in the distance. Flanked by ocean, forests, and snow-capped mountains, Vancouver is the perfect base for delving into the scenic wilderness of British Columbia. Steel yourself as you cross the swaying Capilano Suspension Bridge and ride the gondola up the side of Grouse Mountain. 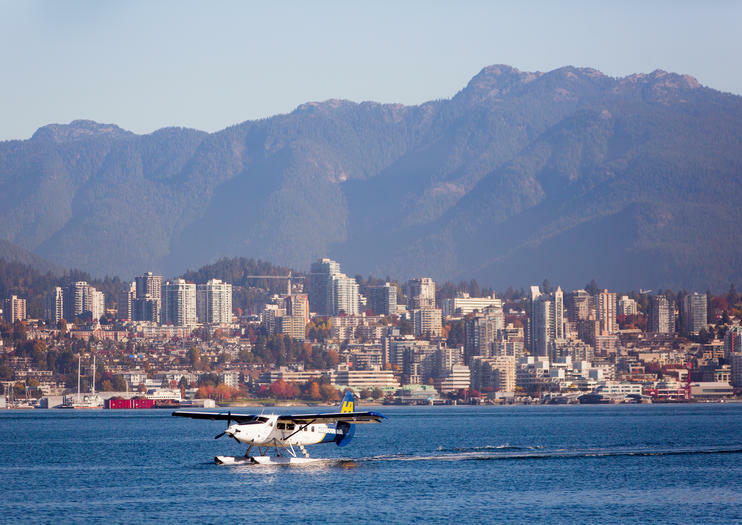 Both are situated on Vancouver’s North Shore, making them an easy-to-reach day-trip. For a sea-based adventure, opt for a whale-watching cruise out into the Gulf and San Juan islands. The mountain village of Whistler, a winter sports hot spot, can also be visited as a day trip from Vancouver; choose a seaplane tour to avoid wasting precious hours in transit. Vancouver’s food scene is among the best in Canada, with fresh seafood, an abundance of local produce, and a wide range of excellent Asian dining options. Treat yourself to tastings at some of the city’s best eating spots, as recommended by a local foodie on a gourmet tour. Appetite sated, it’s time to discover the city’s array of craft beers. Guided beer tours steer travelers to little-known microbreweries, and provide transport so there’s no worry about navigating. Enjoy the exquisite waterfront views of Canada's premier West Coast city on a leisurely one-hour Vancouver Harbor sightseeing cruise. Travel past landmarks sites such as world-renowned Stanley Park and the city's rejuvenated Gastown district, marvel at the incredible North Shore Mountains from atop an open-air deck and admire the stunning Lions' Gate Bridge while sipping a cocktail (own expense) from the onboard bar. Taste the best of Vancouver’s microbrews on a 3-hour tour of the city’s craft breweries with a local, ‘Beer Geek’ guide. Join a small group of fellow beer lovers for a route that takes in Parallel 49, Bomber and Off The Rail, with samples and snacks at each location and a behind-the-scenes tour of the brewing process. See the city from a comfortable bus so you can drink worry-free. Get an insider’s perspective on the brewing scene and tips on the best places to eat and drink in the city.